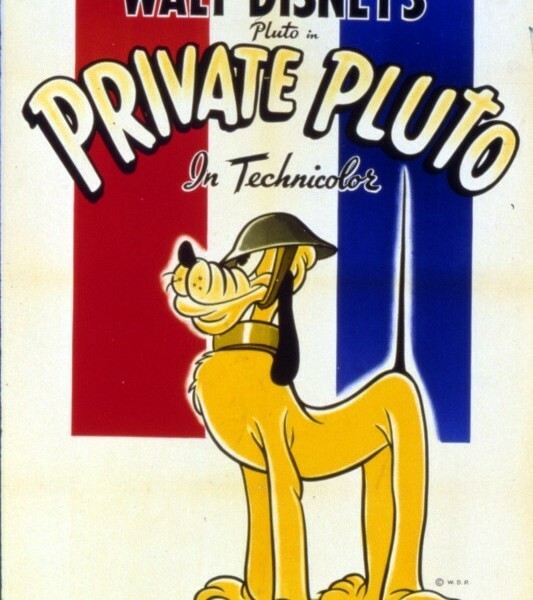 Private Pluto (film) Pluto cartoon; released on April 2, 1943. Directed by Clyde Geronimi. Pluto gets mixed up in his drilling by Sergeant Pete and is ordered to guard a pillbox that two pesky chipmunks are using for acorn storage. First appearance of the as yet unnamed Chip and Dale.